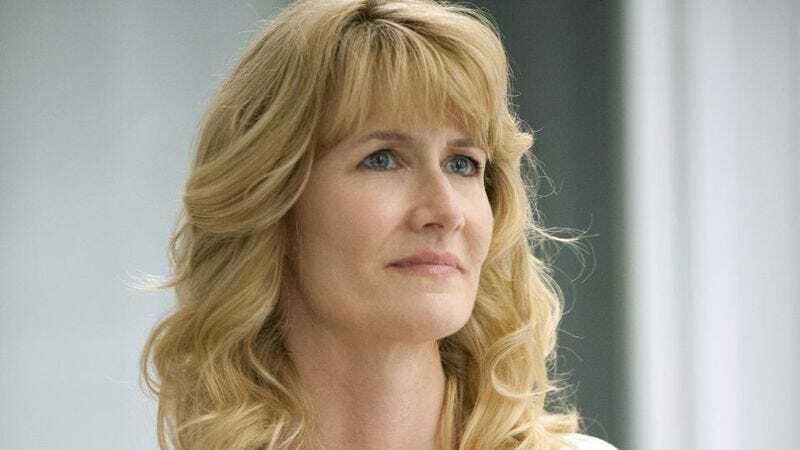 Employing that can-do spirit that keeps someone pushing forward no matter how many times they get a door slammed in their face or a critically beloved comedy canceled out from under them, Laura Dern is returning for another new show at HBO. The Enlightened star is teaming up with Bridesmaids co-writer Annie Mumolo to executive producer a series about a pioneering saleswoman who brings the “home party” system of commerce—best known in the U.S. as the way Tupperware slithered its way into the average suburban home—to national prominence. The story—which doesn’t appear to be directly based on the story of Tupperware saleswoman Brownie Wise, who made her name by pushing the party-then-pay model—is being described as “subversive,” possibly because of all the obscenely burping plastic involved. The new series isn’t Dern’s only involvement with HBO; she’s also executive producing Wild author Cheryl Strayed’s Tiny Beautiful Things alongside Reese Witherspoon, and is expected to land another acting gig with the premium cable network some time in the near future. Mumolo, meanwhile, is a voice and live-action actress who co-wrote the Paul Feig-directed Bridesmaids with Kristen Wiig. She’ll co-write the pilot for the series, alongside her husband, Tim Lovestedt.